French publication L'Equipe is reporting that Les Bleus are keen to bring in O'Gara as a consultant for the tournament in Japan, as they look to strengthen the backroom staff of under-fire head coach Jacques Brunel. The 65-year-old retains the backing of FFR President Bernard Laporte despite France's disappointing Six Nations campaign that saw them win just two of their five games. There have been numerous reports that Laporte is seeking to add at least one new voice to the coaching ticket for the World Cup, with former Stade Francais, Montpellier and Toulon head coach Fabien Galthie among the names mentioned. 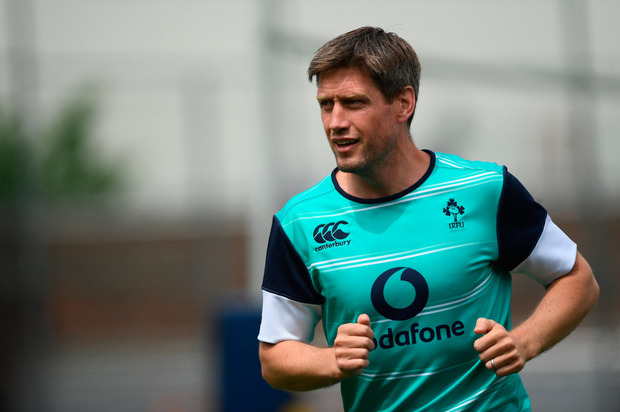 However, O'Gara has now emerged as an unlikely addition. The former Ireland out-half is currently the backs coach with the Crusaders in Super Rugby, where he has enjoyed lots of success since joining last year. The Christchurch outfit retained their Super Rugby title in 2018 and already look the team to beat in 2019. O'Gara wouldn't be available to France until July, if the Crusaders progress to the end-point of the Super Rugby season. The 39-year-old has plenty of experience in French rugby though, having served as assistant coach at Racing 92 for four-and-a-half seasons before taking up his role in New Zealand. Racing won the 2016 Top 14 title during O'Gara's time in Paris, and reached the Champions Cup final the same season. France are set to move on from Brunel after the World Cup, with L'Equipe also reporting that outgoing Wales coach Warren Gatland is at the top of their shortlist.